A project is assumed under project failure if it has not delivered its basic required expectations. Projects are generally started to meet a business ambition but it must also meet the stakeholder presumptions. If the project can meet both the business ambitions and all stakeholder presumptions, then it can be considered as a success. However, the reality is not same as we expect it could be. As expectations of the customers and stakeholders keep on changing constantly, it becomes difficult for the project team to deal with issues and to achieve project goals. But the question is why project fails? Project failure occurs if the projects are the late, crossed budget, does not deliver the business value as expected or deliver the wrong product. The reasons for project failure refer to the lack of presence of success factor for the project. 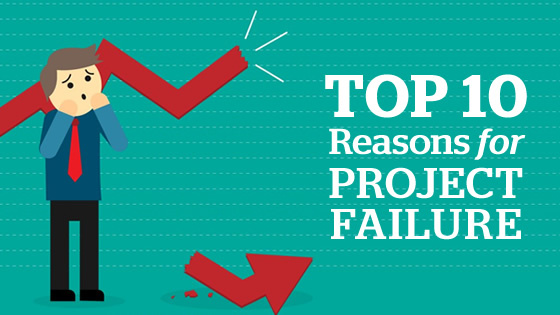 Here are top 10 reasons for the project failure to answer the question why project fails. Project planning is an important part of project management and it is the responsibility of the project manager to set a proper plan for the project. Project planning is generally used to organize distinct parts of a project including workload, project plan, management of team etc. You must have a clear vision of what you are going to do and know how to execute tasks to reach the project goal. But if the project is not planned properly then it may fail or doesn’t meet all the expectations of stakeholders and customers. Scope creep refers to change in scope of the project and also known as requirement creep or feature creep. The scope is the work required for a project. Scope creep refers to how the requirements of a project keep on changing over a project lifecycle. It is caused by the changing requirements of the project stakeholders or due to miscommunication and dissidence. It may result in roadblocks, project delay or move over budget and hence project failure but sometimes it is not a bad thing. Scope creep is an actuality that every project manager predicts and plans for. Good tools and techniques are required for the success of a project. A common illusion is made by the project manager and team leader to utilize unpracticed tools and techniques at the starting of project. Sometimes, it can cause many severe problems during project life-cycle as the team has to deal with the learning curve of new techniques along with usual project duties. As team members are not familiar with the new techniques, the project may undergo deferment issues. For this, team members should use new tools in the combat successively. Every project requires some resources according to need. The quantity of resources depends on the size and scope of the project. Sometimes, the project is inaccessible due to the shortage of resources and necessary requirements. This is one of the cases in which project success is not available. For example, if a project requires a skilled Java programmer and candidate appointed for the project do not have that skill then the project cannot continue until a necessary resource is provided. A project which is aimed at developing some product is going to have especial patrons i.e. a group of people who does business at the establishment. Whether the product is a part of the software, a hardware widget or development of existing mechanism, users are the extreme customers. The user should be engaged during the project life- cycle as their suggestion and feedbacks are categorized to guide the project effectually. Failure to user engagement in the project leads to an improper end result product and project is failed to meet the user expectations. Preparing for Project Management interview? Have a look at Top 12 Project Management Interview Questions to crack the interview. Antagonism between project team can be raised. Project failure is a common term that every project manager wants to rupture from. No one craves to take the responsibility of project failure as it may blot his career record. But if a project fails, then it simply means that project manager did a poor job. Ensure that the project manager has enough knowledge of what the best techniques are because hiring of well-skilled project manager can’t be omitted. Project team knows their manager only through his communications. Whether it a project, an operation or personal life, communication plays an important role. Without communication, you are executing tasks in the murky area. Project managers should develop a communication plan. Even time-to-time meet-ups should be planned to discuss the project performance. Project Management Institute (PMI) study revealed: “Ineffective communication had a negative impact on successful project execution.” And this issue even holds in 2017 after four years of the study. When there is no above-mentioned reason for project failure then the project may fail due to poor management. If a project is decently staffed, have a good WBS, proper planning, availability of resources, proper scheduling, and the support of sponsors but even gets fail then the only reason behind it is that project management was poor. The success of the project depends on the project manager and project team. Therefore, appoint right staff for your company/organization with significant experience. Also, there should be a Project Management Office (PMO) that can monitor the project team efforts and provide the required support. New Coke – The launch of New Coke is a real-time example of the failed project in project management. The simple reason behind the failure of New Coke project was the good quality of old coke. Yes, nothing was wrong with the old coke, so the new old couldn’t replace or overtake it. McDonald’s Arch Deluxe Burger – McDonald’s brought Arch Deluxe Burger in the market to go upscale but failed. It happened because it couldn’t attract adult range even with the high paid ad campaigns. The adults were not interested to pay considerably more amount for a little different product. Apple Lisa – Apple Lisa is a popular example of a failed project in project management. Apple launched Lisa to target the business customers but the project couldn’t work as expected. The IBM PCs arrived with a lower price which didn’t allow Apple to seize much market share, and the project got failed. Whether be a small or large scale project, it may undergo failure as the market is never predictable. Top 10 reasons of the project failure have been mentioned above while the failed projects can be traced to the few factors like Lack of interest, Scope changes, Poor communication, No bad news environment, and Lack of velocity. How to Eliminate Project Failure? The top causes of the project failure specify how important is the proper planning to reach the project goals. The successive operation of the project tasks and the resource management also helps project managers to deliver a successful project. Efficient communication helps to build a better project flow and thus leads to the success of the project. So, by eliminating above factors that may result in project failure, the likelihood of project holder can be eliminated. It should always be kept in mind that the success of a project is not fixed. If a project succeeds, there are also some chances of its failure. So, it becomes important for the project manager to know which factors can result in project failure. It will help him to focus on those factors while managing the project. The above-mentioned list of the causes of the project failure will enable a project manager to stay at the top in his field. 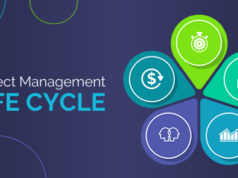 By knowing all the factors that may lead to the project failure, the project manager, and his team can get prepared to tackle the problems that may arise. It will, in turn, minimize the chances of project failure and maximize the possibility of the success of the project. 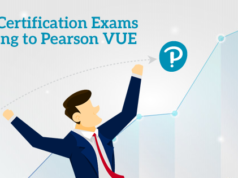 Validate and enhance your project management skills to avoid project failure now! 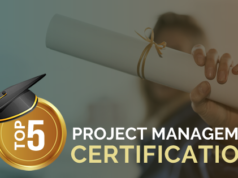 Prepare through Whizlabs Project Management Online Courses and Practice Tests to become a certified project manager and boost your career.